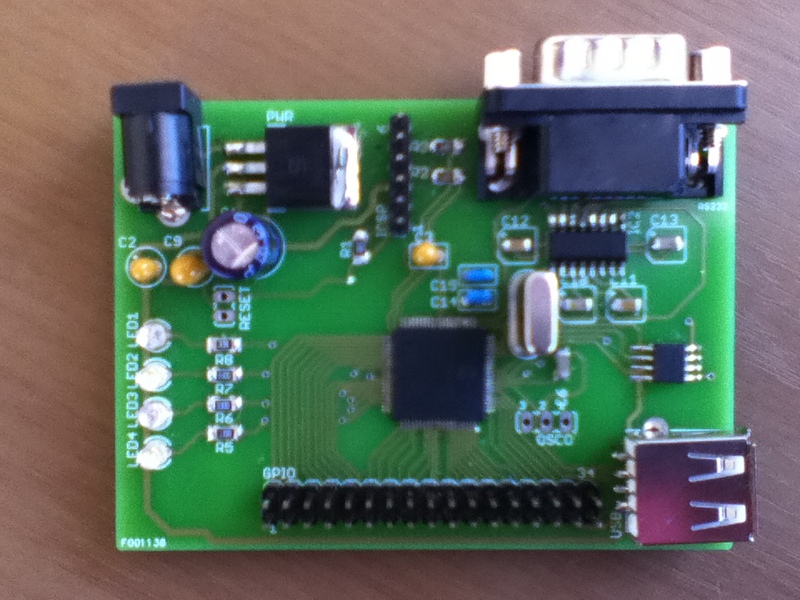 This is a selfmade evaluation board for PIC24FJ microcontrollers. I wanted to use this microcontroller as a storage driver for other FPGA projects, but did not know the PIC24 family at all. I knew that this chip can handle USB devices and has embedded host functionality, but never tried myself. 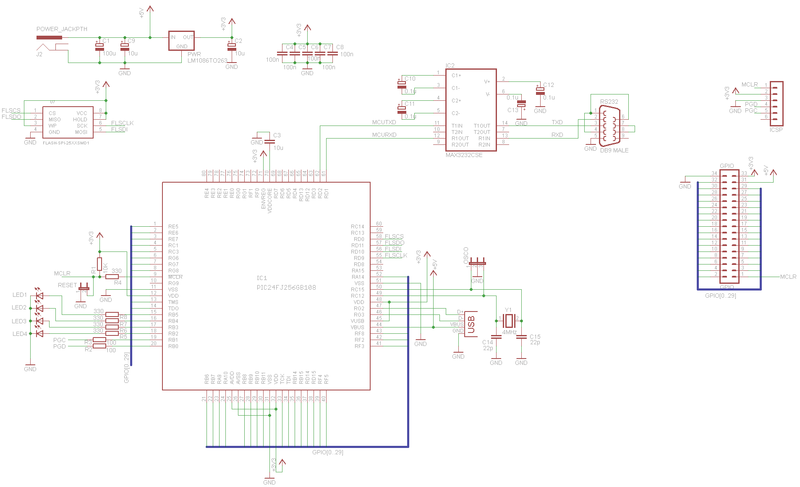 My first thought was that I buy a complete devboard from Microchip, but later I decided to design this hardware. For sure it was not cheaper than a factory produced card, but at least I have learned the basics of the PIC24 implementations. The main chip is a PIC24FJ256GB microcontroller, 80 pins. - a 4Mbits Serial FLASH. After fixing my wrong soldering, the board started to work all the way I expected. Obviously I had to make the software environment working, too. I use the MPLAB IDE and the XC16 compiler. One can download them for free from Microchip’s website. Well, it is not a perfect design though. 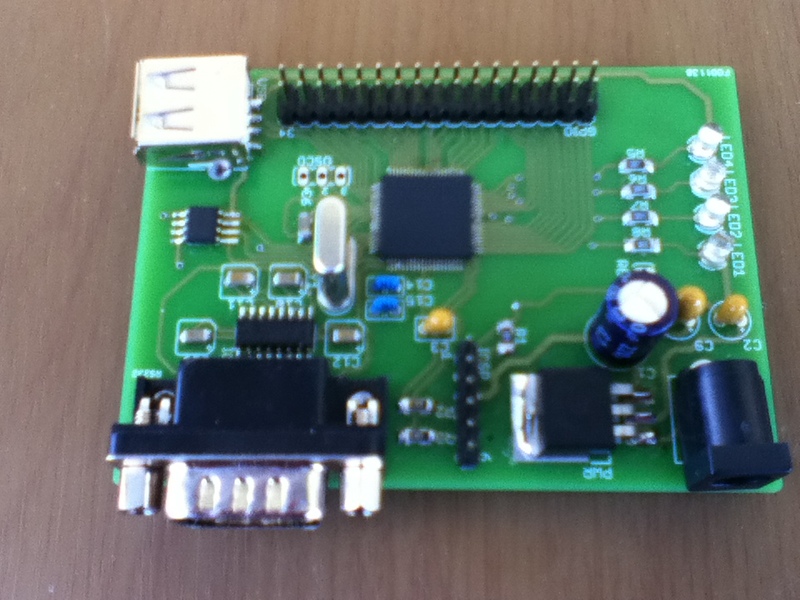 Because I did not know the microcontroller at all, some features can not be tested with this board. For example, the PMP paralell module lines are not wired to the GPIO pins. My fault. But I am happy with this board anyway. I can test functions, try example apps, and learn about the PIC. Can you send me your eagle shematic? If we glance at the term the prhase really enjoy, not just in regards to a close connection utilizing one other, yet being a sensation that is engendered for those who have miltchmonkey an even better marriage on your own too ( space ) and even for a experience of increased unity with the fam and also mankind ( blank ) then it becomes much more superior that every any individual is looking for in everyday life will be love. Free info like this is an apple from the tree of kneeoldgw. Sinful?